The Extended Project Qualification is an independent research project of an A level standard completed by all Burgess Hill Girls Sixth Formers. As well as being enormously rewarding and of immense educational value, the EPQ is warmly welcomed by the universities and can determine whether offers are made, or lead to more generous grade requirements. This is because the project shows a student’s willingness to take on an independent academic challenge and provides evidence of their commitment to a course of higher education. For the student, completing the project extends and deepens their knowledge of a topic of interest and can help them confirm their intentions for higher education or training. There may be a topic a student is really interested in but they have had no opportunity to pursue further. Maybe they know what they want to study at university and the EPQ would be a great way to research into it and show their knowledge at interview – for example, architecture, law, or speech and language therapy. Beyond the value for applications, students develop transferable skills such as essay construction, analysis and evaluation of raw data that might not be a key element of their A level subjects, but will be of incredible value later in life. The EPQ is all about the process of putting together a piece of academic work. Students can choose to write a 5,000 word essay, make an artefact supported by a shorter essay or put on a performance and write up an analysis of the work. First, a production log documented electronically on the ‘Project Q’ website. This is written over the course of six months and records a student’s progress as they develop their project. It will act as a record of their decision making, time management and reflection. Second, the essay or artefact itself. Most titles take the form of a question and the students respond to that question, backing their arguments up with evidence from academic research. Selection and evaluation of the quality of their chosen research is one of the key skills they will develop. Finally, a presentation is completed after the essay has been written. It is presented to an audience of the student’s choice but must include their supervisor. The aim is to give an overview of the project to a non-specialist audience explaining what was researched and what was concluded. 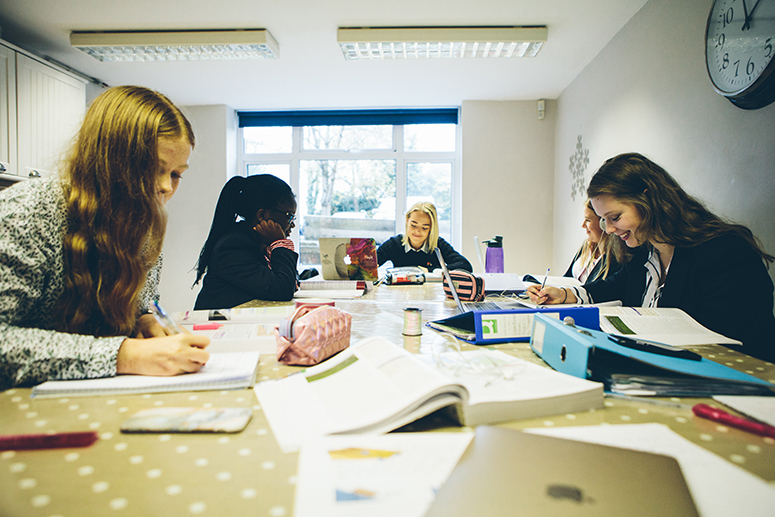 To support pupils to achieve the highest grades, Burgess Hill Girls gives EPQ students 30 hours of tuition in key skills such as selection of resources, time management, analysis of data, referencing, as well as one to one meetings with an allocated supervisor.